It was September 2013 when Miguel Diaz and his wife, Esther Diaz, sat in the waiting room at one of the health clinics run by Leon Medical Centers in South Florida. Miguel Diaz still had postoperative bandages covering his right eye following his cataract surgery a few days earlier. Diaz was excited, but nervous for his doctor, Jonathan Leon-Rosen, to take off the bandages. That is when Miguel and Esther claimed to have overheard a conversation that many of Leon-Rosen’s patients were blinded by a similar operation. Miguel Diaz, now 80, agreed to the surgery because his eyesight was becoming impaired. But when the bandages were finally removed his worst fears were realized. Instead of being able to see clearly, Diaz found that he had lost all sight in his right eye. After the shock wore off, a medical malpractice lawsuit was filed on behalf of Diaz and his family. The law firm representing Diaz has also filed 13 additional medical malpractice lawsuits on behalf of other individuals who also allegedly lost their eyesight at the hands of Leon-Rosen. The lawsuit was filed against Leon Medical Centers, South Florida Eye Associates, the Coral Gables Surgery Center, and Dr. Leon-Rosen. In 2015, Diaz and Leon-Rosen settled out of court for an undisclosed amount. But Leon Medical Centers refused to settle, arguing that Leon-Rosen was an independent contractor and not an employee of the company. Diaz and his lawyers claimed that Leon Medical Centers used false advertising to make it appear as though the doctors at their clinics were on staff. The lawsuit eventually went to trial in Miami-Dade Circuit Court. After four years of litigation and a trial, the jury ruled in favor of Diaz, agreeing that Leon Medical Centers had acted as though Leon-Rosen was an employee. The lawsuit claims that the doctor even had a Leon Medical Centers logo next to his name on his white lab coat and on his ID visible to all patients. According to Diaz, neither the doctor nor the healthcare center ever notified him that Leon-Rosen was an independent contractor. After hearing the case the Miami-Dade jury found that although the center was not negligent itself, it was liable for the actions of the doctor, and awarded the Diaz family $13 million in damages. Leon Medical Centers indicated that they will appeal the ruling. 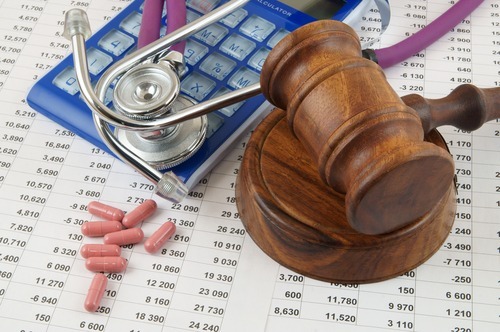 How Much Do Lawyers Charge For Medical Malpractice? Is Failure to Warn a Patient of Known Risks a Form of Medical Malpractice?